Squirrel enjoys the sounds around him. From birds in the spring to rain in the fall, and from animals in the summer to snow in the winter. 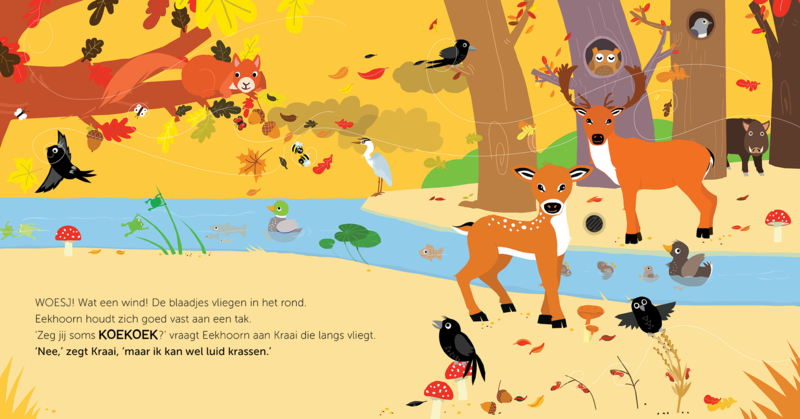 A great Clavis Sound Book with the most beautiful sounds from the four seasons. 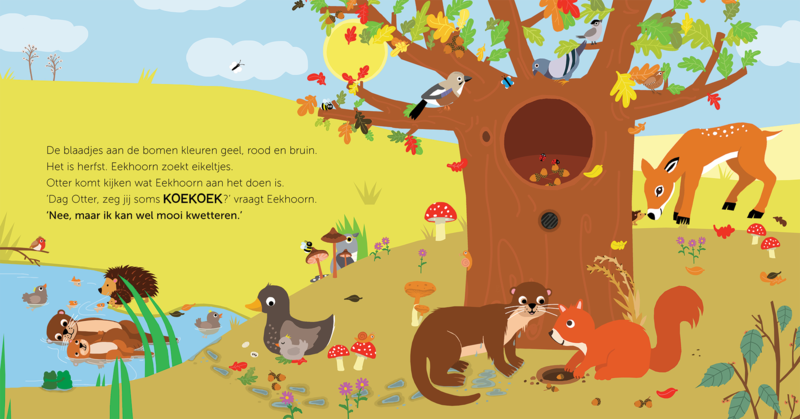 Can you find the hidden cuckoo? 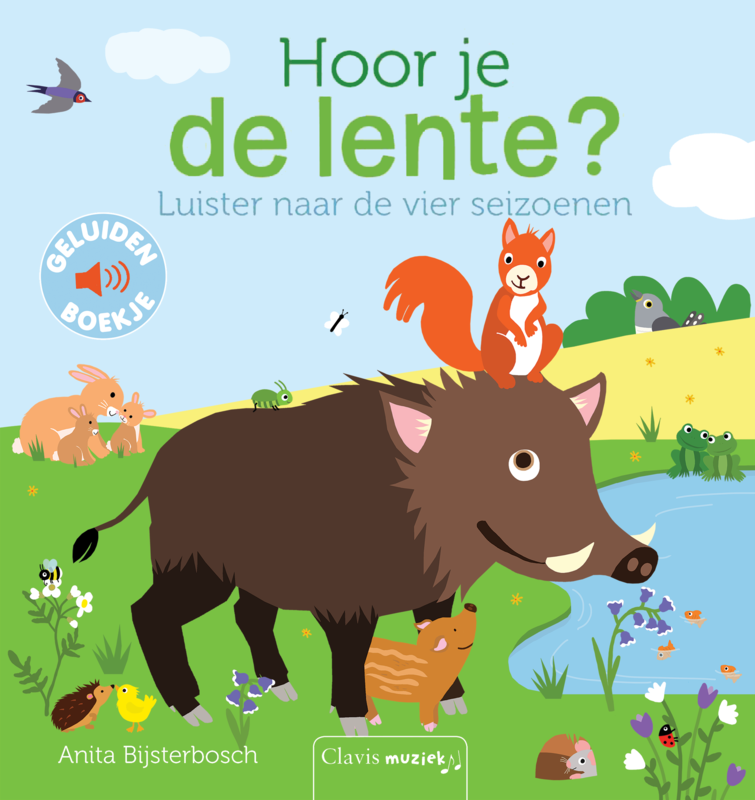 Title: Hoor je de lente?